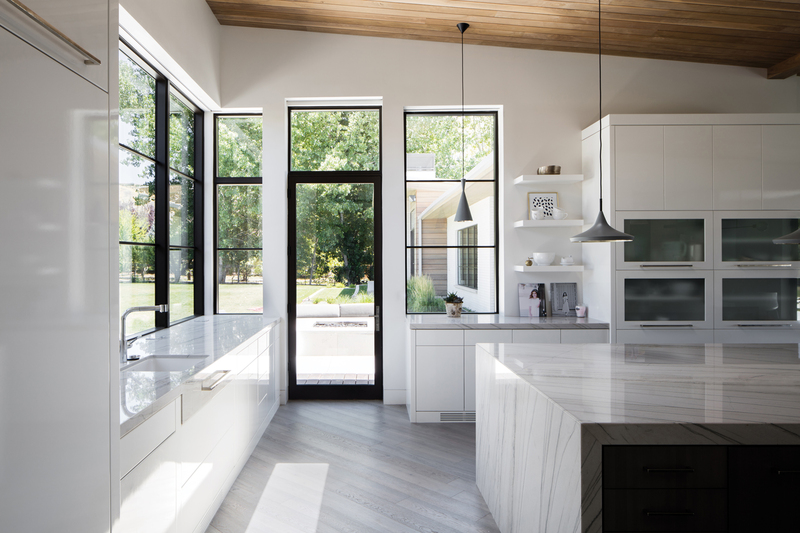 Kolbe Windows & Doors will feature its highly innovative and award-winning VistaLuxe Collection® at the NAHB International Builders' Show in booth #W3870. A finalist for NAHB's Best of IBS award, this industry-leading collection is a great choice for projects that embrace sleek design and large expanses of glass. "Kolbe's VistaLuxe Collection continues to evolve to meet the needs of homeowners, architects and builders," says Kolbe Windows & Doors' vice president of marketing, Cindy Bremer. "Our culture of innovation has expanded these product offerings and brought about our groundbreaking Evolution hardware." Kolbe's proprietary Evolution hardware elevates contemporary design and functional operation with a slim, streamlined style. Shown on both a casement and an awning, Evolution hardware allows the window to be operated without a crank handle. The slim lines of the operator complement the clean lines of the Collection, elevating the design with a consistent appearance. Also shown in Kolbe's VistaLuxe display are a number of direct set corner windows. Corner windows are shown both with and without posts, in 135-degree, 90-degree and inverted 90-degree configurations. 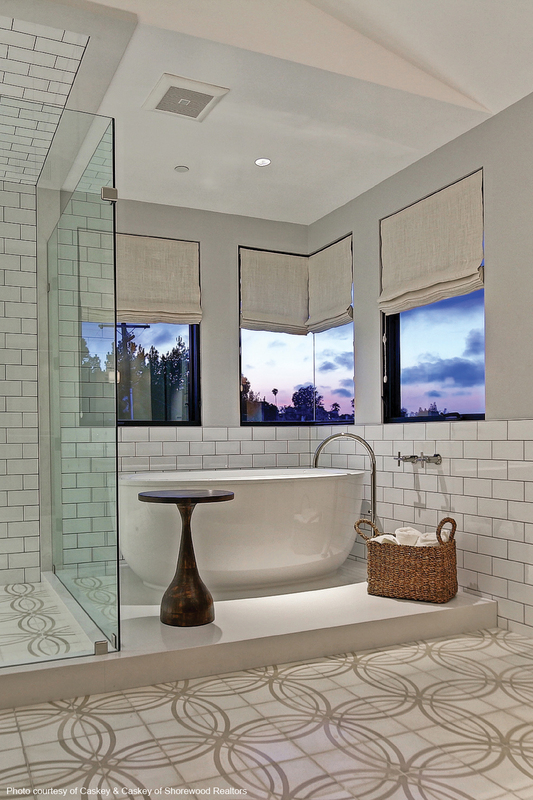 Stacked units provide large glass areas with consistent alignment. Both Flush and Accent exterior styles are shown, with a custom Dark Brown exterior finish throughout. "The VistaLuxe Collection aims to provide creative solutions for maximum viewing with minimal obstruction. Corner direct sets, large panes of glass, narrow frames and slim, unobtrusive hardware contribute to an enhanced viewing experience," adds Bremer. Kolbe's attention to detail is evident in the VistaLuxe display; 5/8-inch and 4-1/2-inch performance divided lite bars are used both to replicate the style of steel windows and to align with horizontal mulls, respectively. A direct set is shown with a Bronze anodized floor sill, an option that provides consistency and matching sightlines when mulling with an inswing door. An upper awning is equipped with a Marvel™ electronic operator, allowing it to be opened with the flip of a switch. A VistaLuxe inswing entrance door is exhibited with a new radius direct set factory-mulled above with a 6-inch spread mull. Matte Black Dallas hardware virtually disappears into the door's custom Dark Brown exterior finish, while the interior Maple wood species with clear coat offers natural warmth. A 3-inch cross rail matches the sightlines of the mull configurations included in the display. "We continuously strive to provide solutions to the market, with high-quality products that offer style, advanced technology and customization options," states Bremer. "We are pleased that our VistaLuxe Collection has been recognized as a finalist for the Best of IBS award, and we hope we can continue to inspire new ideas for building projects." For complete information and product details on Kolbe's VistaLuxe Collection windows and doors, please visit www.kolbe-kolbe.com.